Provide comfort for the family of Leona Redden with a meaningful gesture of sympathy. Leona May Redden, at the age of 89, joyously entered the gates of heaven on Friday, February 1, 2019 surrounded by her loving family. She was born on September 17, 1929 in Wilmington, Delaware to the parents of the late John Porter, Sr. and Emma Porter. Leona was the second oldest daughter of seven sisters and eight brothers. She attended the Wilmington Public Schools where she graduated from high school. She spent over 30 years in the cleaning business. Leona was a faithful employee of Colton Cleaners. In 1963 she was joined in Holy Matrimony to the love of her life, the late Dalton R. Redden. Together they raised two beautiful children, Glenda and Anthony. Leona was a dedicated member of Friendship Baptist Church where she was a member and a part of the Mother board for many years. 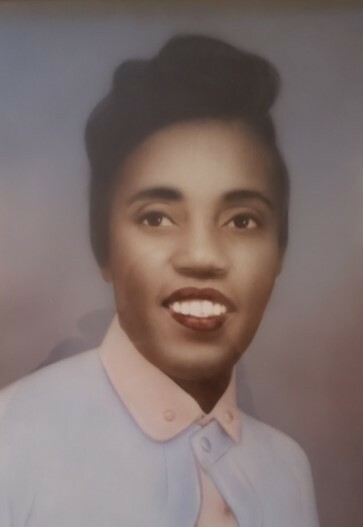 Leona is preceded in death by her siblings, Marguerite Redding, Vivian Washington, Shirley Johnson, Emma Minus and Clinton, Charles, Norman, Hilton and John, Jr. (JP) Porter. Leona leaves to cherish her memory, one daughter, Dr. Glenda Townsend; one son, Anthony Redden; six grandchildren, Anika, Seneca, Anthony, Domonique, Antwain and Maurice; four great grandchildren, Tene’, Rain, James and Quentin; three sisters, Helen, Anna and Fannie Porter; two brothers, Herbert and Alfred Porter; 76 nieces and nephews; cousins, Ludie Kidd, Mary Kidd, Helen Lomax, Will Kidd and Rochelle Gray all from Washington, DC; and a host of other relatives and friends, especially Mrs. Irene McNeil. To send flowers to the family of Leona M Redden, please visit our Heartfelt Sympathies Store. We encourage you to share any memorable photos or stories about Leona. All tributes placed on and purchased through this memorial website will remain on in perpetuity for generations. Delores, Dawn, Holly, Joy, Kisha sent flowers to the family of Leona M Redden. Mom You showed me what UNCONDITIONAL love is, & I Thank you. I will LOVE & MISS you until the day I die.